“Demand for our state-of-the-art handling solution was very stable at a high level during the course of the year. In addition, we have succeeded in reviving countries and even entire regions that have shown almost no turnover development in recent years. A record year in the UK and an impressive result in Africa are two positive examples. In addition, we have continued our success story with the LHM 800, strengthened our existing customer relationships and gained new important accounts. At this point I would like to emphasise very clearly that all this could only be achieved through teamwork across all departments and branches worldwide,” summarises Andreas Mu¨ller, Sales Director for Liebherr mobile harbour cranes. In the second half of the year, a number of impressive orders were placed. Karmsund Havn IKS purchased the biggest mobile harbour crane in Norway, an LHM 550. The machine will be used in the new Haugesund Cargo Terminals, Husøy, Norway's most modern port terminal. Yilport Holding, a subsidiary of Yildrim Group, recently acquired a multi-purpose terminal in Quetzal, Guatemala. 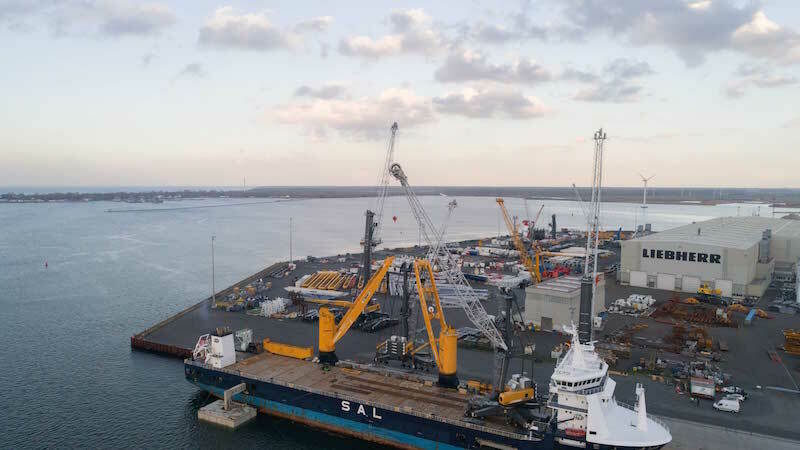 At the beginning of October, two Liebherr mobile harbour cranes type LHM 600 were delivered from Liebherr’s maritime production facility in Rostock, Germany to Yilports newly acquired terminal in Guatemala . The machines are equipped with a tower extension of 12 metres, which ensures a maximum cabin height of more than 37 meters. 2018 was also the year of the LHM 800, the largest mobile harbour crane in Liebherr's portfolio. At the beginning of the year, Saqr Port Authority received the delivery of two LHM 800. These two cranes are the first LHM 800 in bulk handling configuration ever delivered by Liebherr. Salerno Container Terminal (SCT), owned by the Gallozzi SpA Group, received an LHM 600 and an LHM 800. Both units are equipped with an extra tower extension, which provides the best possible view on the cargo for container handling, even for large container vessels with up to 22 containers rows across. SCT thus operates the largest mobile harbour crane in Europe, which is used for container handling. With the order for the third LHM 800, Montecon is now the world's largest operator of the LHM 800 in terms of numbers. The device is also the tenth Liebherr mobile harbour crane operated by Montecon at its terminal in Montevideo, Uruguay. “We feel confident as we rely on the trustworthiness of Liebherr and its entire staff; they are strategic partners in the development of our business. Our mobile harbour cranes are doubtlessly our main fixed asset, and they determine the service level that we provide to our Customers. This is why Liebherr’s reliability and aftersales support are essential values to us”, says Juan Olascoaga, General Manager of Montecon. 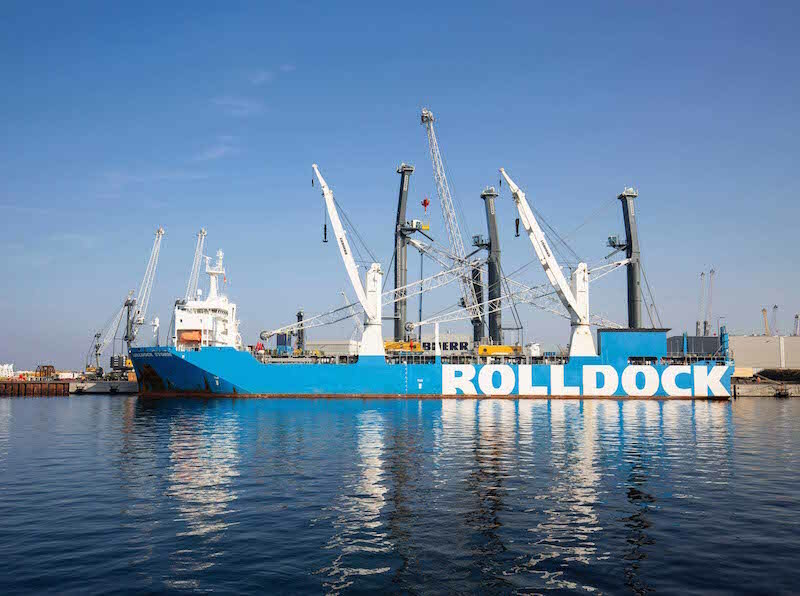 Liebherr also sold the largest MHC for container handling in North America to the Canaveral Port Authority in 2018. The device was recently delivered. “We very much welcome the decision of Canaveral Port Authority to invest in Liebherr mobile harbour crane technology type LHM 600 high rise. The rapidly growing number of Liebherr mobile harbour cranes in North America confirms our leading position in this area. 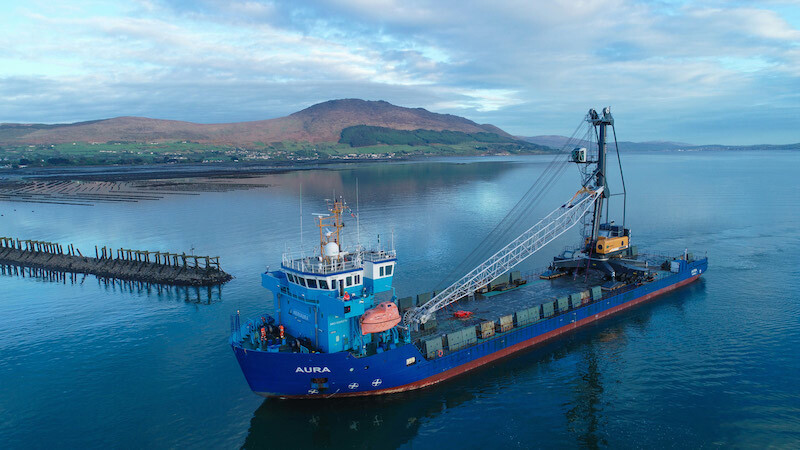 The new crane provides the port flexibility for all their upcoming operations due to the special double layer winch providing an outstanding lifting height of up to 85 metres,” quotes Andreas Ritschel, Area Sales Manager for Liebherr mobile harbour cranes and reachstackers.